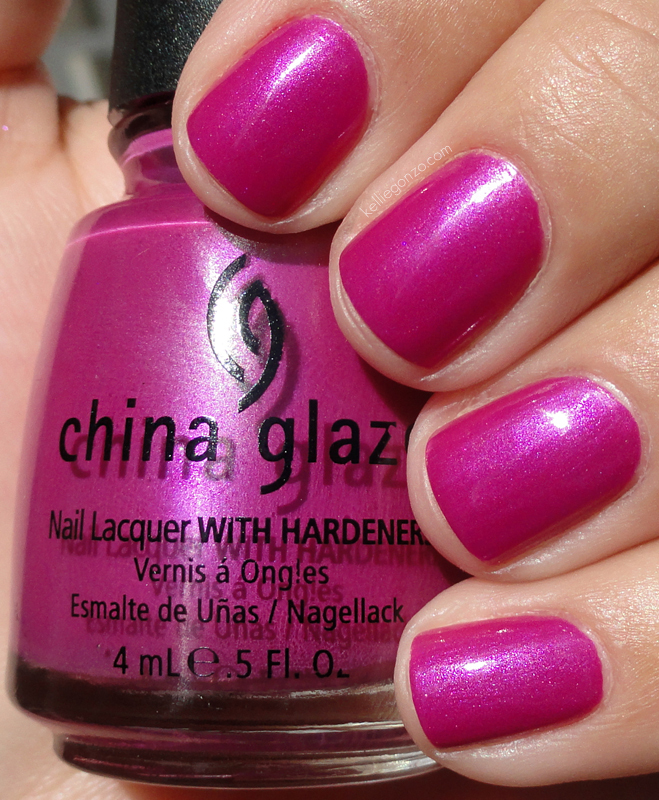 This is my manicure with China Glaze's Fly, from the 2009 Kicks collection. I really love this collection and even though I got into polish after it came out, I was able to track all 12 of them down pretty easy. Fly is a purple with microshimmer. It basically looks like a fuchsia with a dash of purple thrown in. I expected this to be more purple from other photos I've seen :P but what can ya do? It is pretty but not what I had hoped. This is two coats on my shorty short nails. Any colors you have gotten lately that are not exactly what you counted on them being?